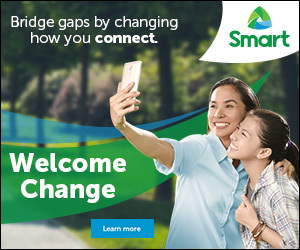 SMART Communications Inc., the leading wireless services provider of the Philippines, recently announced that 5G wireless technology LTE-Advanced (LTE-A), now in the Philippines. As SMART pioneered the Long-Term Evolution (LTE) two years ago in the country, today the much advanced mobile communication technology will soon to be offer to the network's subscribers and for deployment soon. Smart switched on LTE-A at the Smart Jump Center in Mandaluyong City, setting the next phase of mobile communication technology beyond 4G LTE standards. With LTE-A, a 10MB file takes less than a second to download, YouTube videos no longer have to buffer, and video calls are almost lag-free. But beyond speed, LTE-A’s main feature is also its capability to allocate more network resources to users when the need arises. Smart started testing LTE-A across the country in August last year, delivering results of more than 100Mbps in Makati City, in Boracay, and in Davao City during the Kadayawan festival. Ramon Isberto, Public Affairs head for Smart and its parent company the Philippine Long Distance Telephone Company (PLDT), said that the recent development is part of the company’s multi-pronged approach in addressing the various needs for internet and data services in the market.